The government is acting like an abusive partner with claimants, whom it can beat at will, and claimants are too scared to be able to do anything to escape due to their chronic ill health or disabilities, says Gail Ward. 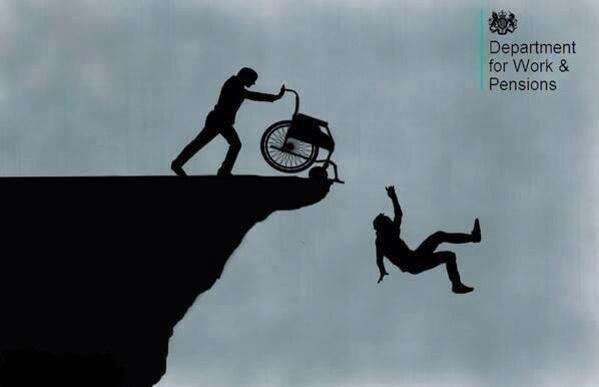 Hi my name is Simon, I am to a disabled person myself so I can speak from experience of this Conservative government have no idea what they are doing to the most vulnerable and those with disabilities or difficulties. We as a group of people have been getting the ruff end of the policies that this government have put into place, without taking the needs or considerations into how it really is affecting those at the bottom end of society. They are all so out of touch with what does really going on, as we are having to go with like a begging bowl to the local Job centers and trying to get the forms so that you can register for the local food banks in our areas. When will this government realize that with there Austerity Program and now Brexit we are being treated like third class citizens in the sixth richest country in the world. We should start looking after our own now before we have issues and problems that become an epidemic in our country. we should not give so much money to oversees aid and put it into our own county and look after our own before we start spending money on counties that we cannot see were the monies go. We need to get things right in our own country first before we throw money at other areas and also we now need to get rid of the Austerity Program.